Many across the nation were shocked to see the heavy-handed techniques employed by the police department in Ferguson, Missouri. In a series of protests, American citizens were routinely threatened by the very officers that were sworn to protect them. No matter what one’s opinion of the case, any time a situation degrades to that level in the United States, it is something that must be investigated to the full extent of the law. Attorney General Greg Abbott said Tuesday that his office’s investigation of a Houston voter registration group that netted no prosecutions but left the organization in tatters was justified. The 2010 investigation, which included an aggressive raid, targeted a group called Houston Votes, which was accused of voter fraud. Even those that support Abbott should be taking pause from this. 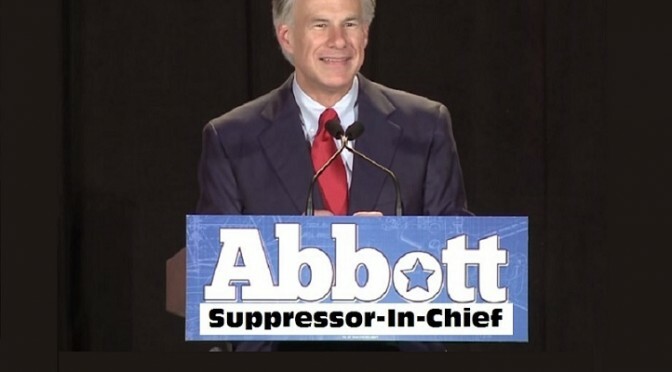 If Greg Abbott’s idea of an “investigation” always means armed cops forcing their way into a home via warrant, there is much to fear for the future of Texas if he gets elected. 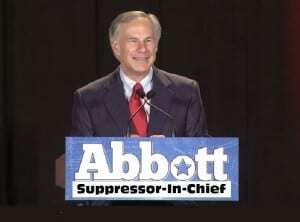 The whole situation doesn’t bode well for Abbott’s stated political philosophy either. There was nothing “Conservative” about the Attorney General’s actions here. In a city where real criminals roam the streets waiting for their next victim, who could ever conceive that sending an armed law enforcement team to go after a few voter registration forms as an appropriate use of Texas tax dollars? 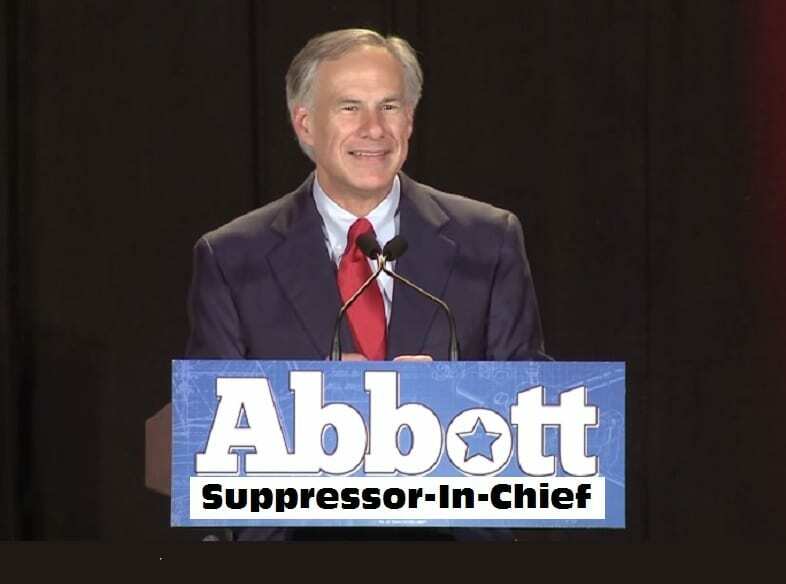 Before Texans go to the polls this November, they must stop and ask… if Greg Abbott is capable of raiding Texas voting groups, what else is he capable of?? Let’s hope it doesn’t take an armed police raid to find out. For more, see Brains and Eggs, Nonsequiteuse, Texpatriate and Off the Kuff.